I've been trying to take more photos with my fancy camera throughout the day (although I've had it for years, most of the settings the darn thing still remain a mystery). Here are a few things that have filled the past week-or-so! 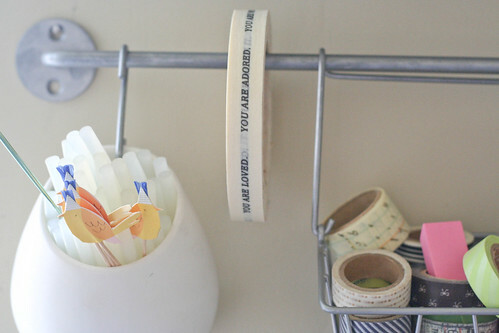 I purchased some adorable tape at oh, hello friend's retail shop, and added it to my crafting nook (as seen above). I wanted it to be displayed somewhere I could see it often because, well, the words make me happy. 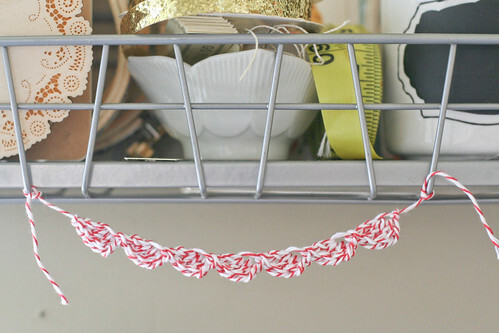 This is a new addition to one of my crafting nook baskets: crocheted baker's twine bunting. It was another thing that was a result of just trying out new stitches, but I ended up liking it a lot. Instead of pulling out the stitches and using the twine for a larger project, I kept it as-is. And I'm glad I did. Heart you and how much you enjoy the little things! Can we clone you? The world needs more of you. Baker's twine is so fun. Brings me back - my grandma had this cool tin for twine with a hole in the lid. 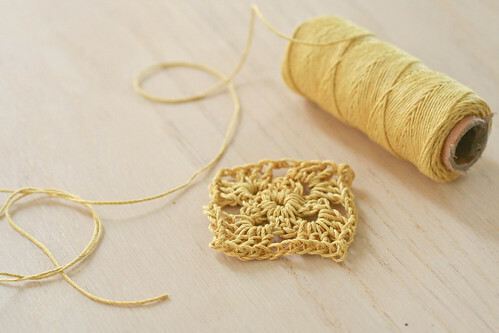 I loved to unravel the whole spool! Keep on with your crafting mama. 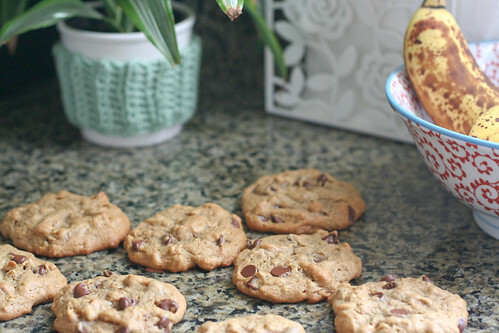 Those cookies sounds really yummy. Sadly I probably shouldn't eat them right now because of my stupid gall bladder. But after the baby is born? It's ON.